WASHINGTON — In 2006, beekeepers started seeing large and mysterious losses of honey bee colonies. Although the losses could be attributed to diseases, parasitic mites and other stressors, entomologists ultimately classified a set of diagnostic symptoms as Colony Collapse Disorder (CCD) and spurred major efforts to measure, quantify, and understand pollinator loss. New data show that between 2007 and 2013, winter colony loss rates in the U.S. averaged 30 percent, which is approximately double the loss rate of 15 percent previously thought to be normal. Although average loss rates fell to 24 percent between 2014 and 2017 and CCD symptoms are less frequently associated with colony losses, colony health remains a concern. High loss rates understandably raised fears that yields for crops that depend on honey bees might fall if pollination services become unavailable. In the two years preceding CCD’s identification, average pollination service fees had risen from $82 to $195 per colony (in 2016 dollars). 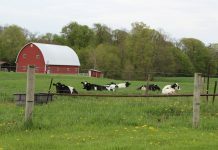 Elevated winter colony losses, however, have not resulted in enduring declines in colony numbers, according to the USDA’s Economic Research Service. Instead, the number of honey bee colonies in the U.S. is either stable or growing depending on the dataset being considered. 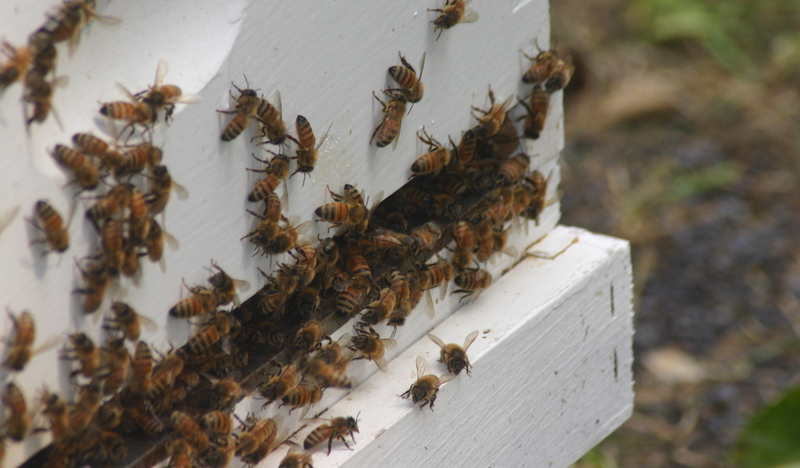 Although beekeepers sometimes purchase colonies, their primary means of replacing losses is by regularly splitting their colonies in the spring. In this process, the beekeeper divides a parent colony into two or three colonies that each becomes functional for pollination services within six weeks. Skilled beekeepers can perform multiple splits in an hour and may also purchase fertilized queens at a cost of $20 to $30 to hasten the colony’s brood formation. The stability of colony numbers and pollination services fees, however, suggests that beekeepers have, in aggregate, adjusted to elevated rates of colony loss. At the state level, loss rates are statistically uncorrelated with year-to-year changes in the number of colonies, suggesting that beekeepers are able to replace lost colonies within the course of a calendar year. Unfortunately, some of the bee loss is due to mismanagement of the hives. Like anything else when you commercialize something, you lose some of the personal connection of a small bee owner. When beehives are disrupted and moved the likely hood of survival is decreased. They need to be placed and not moved and properly managed that way the hive can be readied for harsh conditions. I’ve heard that their using some kind of mushrooms to help the bees ward off problems. Mother nature to the rescue, as usual.